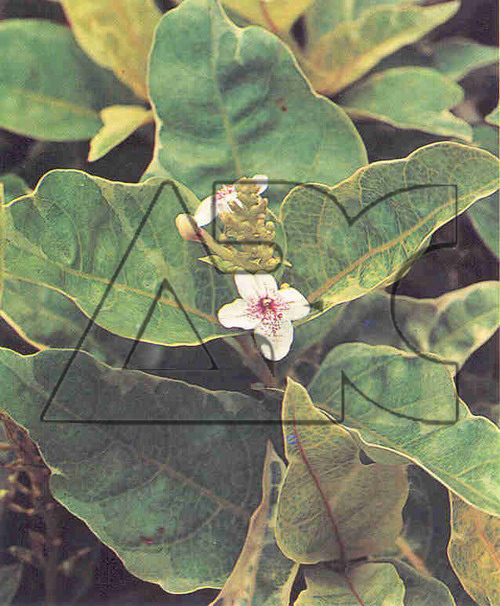 Also known as Yellow-veined Eranthemum, this plant has leaves that have a network of golden veins. It is a small shrubby plant that can grow up to a height of 2m and has sunny yellow leaves with a network of golden veins and dainty mauve flowers. The four lobed flowers of the plant grow on upright spikes found at the end of branches. The young leaves are clear yellow or greenish yellow, with the coloring surviving on older foliage as a fine network of yellow venation. The little flowers grow in upright spikes at the ends of the branches, making it attractive. Each flower is tubular with the tube spreading out into four lobes. The plant grows best in light shade and will flower after dry weather.